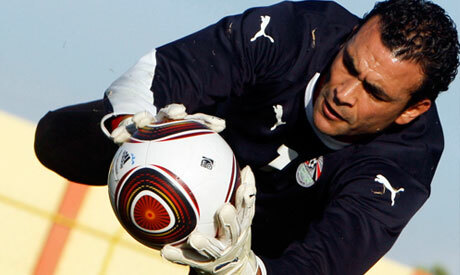 The Egyptian Football Association (EFA) has sent the international license of goalkeeper Essam El-Hadary to the Sudanese side Merriekh, after the Egypt football player left the Alexandrian team Ittihad over money issues. The 38-year-old long time Egypt keeper terminated his loan contract, when the coastal city team failed to pay his salary due to the financial crisis resulting from the suspension of football competitions in Egypt since the Port Said Stadium disaster. The association's legal affair committee is expected to discuss the complaint regarding the player’s LE400,000 overdue payment. Merreikh's Brazilian coach Ricardo recently included former Ahly, Zamalek and Ismaily player El-Hadary, in the Merriekh Africa squad even before the goalkeeper's loan deal with Ittihad was cancelled.